House-style with everything on it. Some days it could be just plain rough on the burger hunt. San Francisco was the sort of town that made it especially difficult. Finding a great burger in San Francisco was made especially challenging by the homogeneous ngredients--Acme Bakery buns, Niman Ranch beef, etc. 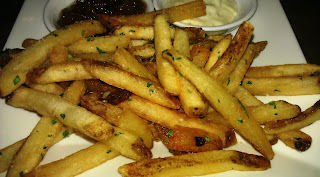 The one trend that we liked was the use of rice bran oil to cook fries--that worked. 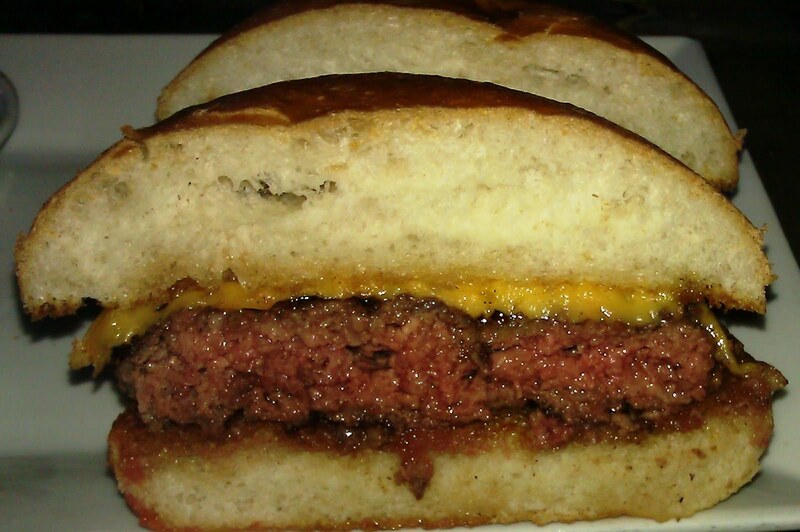 We set our sights on Marlowe's to discover if this was the prized burger in SF--it was not. The Beef: Pre-ground, 80:20, Niman Ranch Chuck was what Marlowe's used for their burgers. The beef tasted vaguely of aging, so the funk note was weak. The Chuck had a fine beefy flavor, and would have been better had they honored my request to cook it to Medium. The beef was juicy and not greasy. The beef was fine. The Seasoning: The salty seasoning blend was applied both timidly and unevenly--some bites were a little salty, but most were bland. The Sear: Meh. The grill marks were average, but contributed nothing in terms of additional flavor or texture to the bite. The Preparation: The 6 ounce burger patty was undercooked. The beef was was not over-manipulated, and the bite was tender. All this in spite of the fine grind--that was a positive. Sadly, the bacon, which accompanied the dish was cold. That along with the undercooked beef and the stone cold bun left me wondering if the chef (Jennifer Puccio) truly gave a damn about repeat business. The Cheese: The California Cheddar was blah. It was a rubbery, and it provided very little by way of flavor or texture to the dish. The dish did not benefit from the cheese. 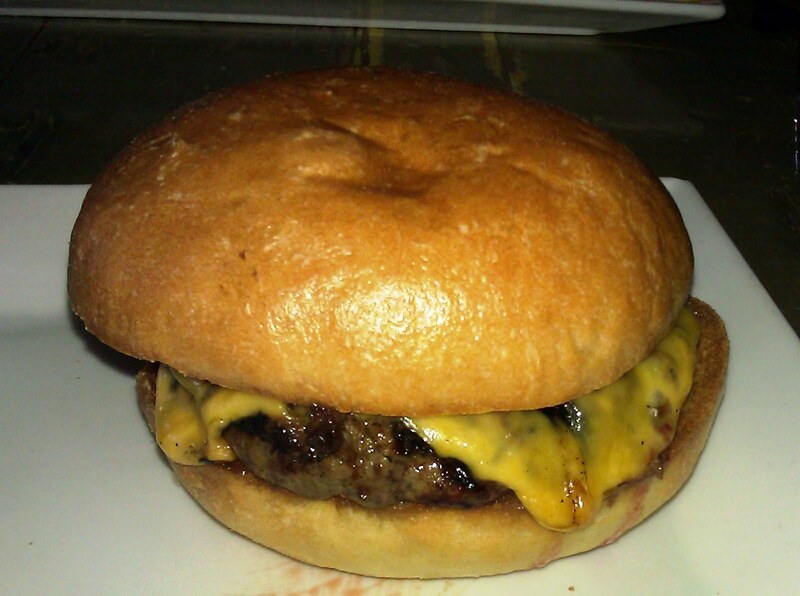 The Bun: The brioche bun came from Acme Bread. The bun was toasted on the griddle, but it arrived cold. Additionally, the bun was spongy and past its prime (a little stale and dry). The bun was not OK. The Meat To Bun Ratio: The dryish bun won this round. The Fries: The fries were fantastic. Peel off, house-cut, and twice fried in rice bran oil--damn right. The fries were crisp, golden, and delicious. Go for the fries and throw the burger away. The seasoning was dead on, too. The Value: 12 bucks for an average burger was on the high side. Marlowe's has been removed from the list of contenders for great cheeseburgers in San Francisco. The standard ingredients and careless preparation did not warrant further consideration. 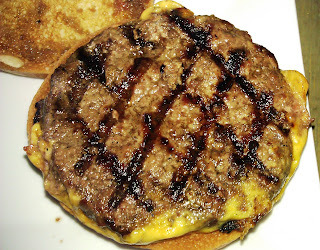 Burger Review : A perfectly average and somewhat incompetently prepared burger was found at Marlowe's.